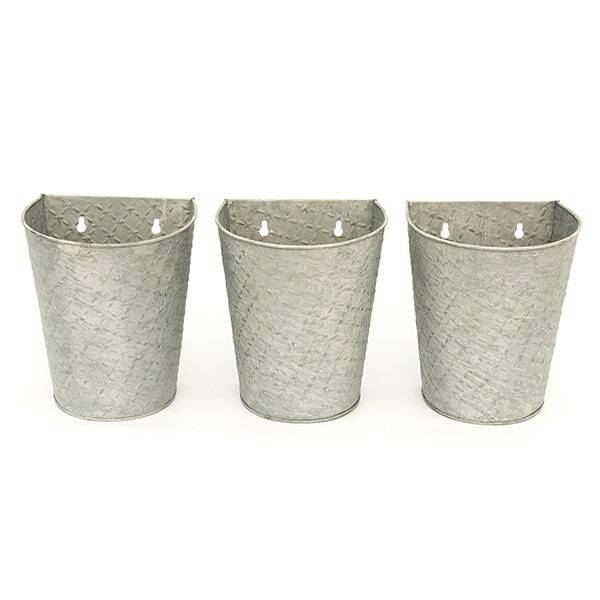 Trio of galvanised steel planters with embossed detailing and an aged zinc patina. 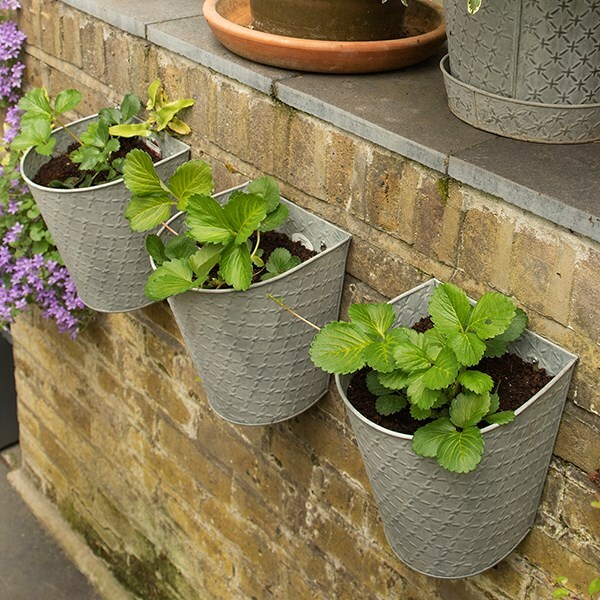 Deeper than most wall pots, they encourage healthy root growth and retain more water so you can enjoy a lower-maintenance display. 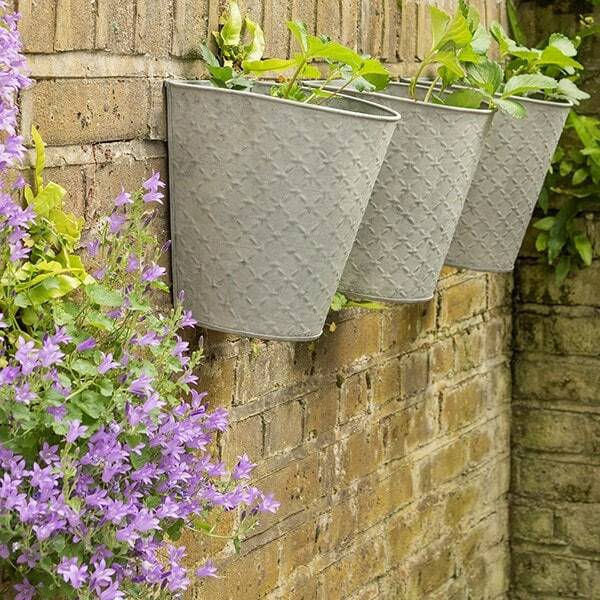 Fill with herbs, flowers or trailing plants to add vertical interest and make the most of smaller spaces. 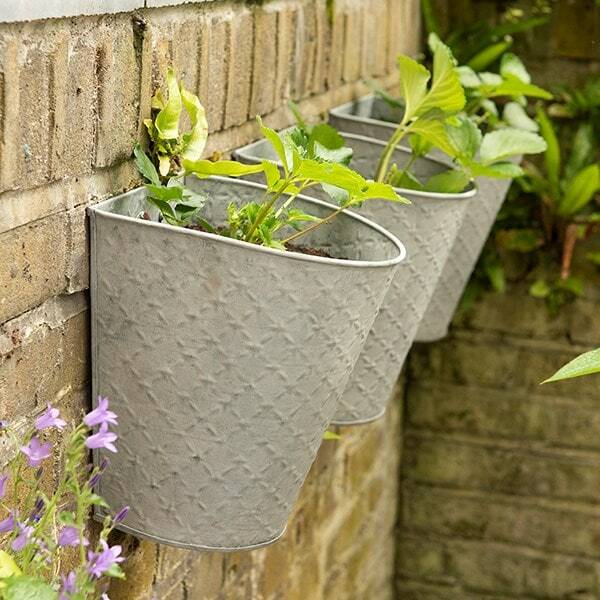 Supplied with pre-drilled key holes for wall mounting, the pots sit at a slight slant for more efficient drainage. 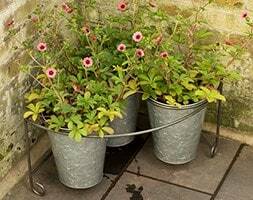 Finished with a clear lacquer to protect against rust.